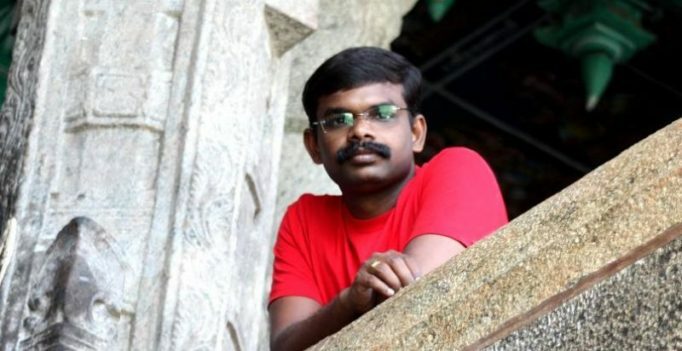 Chennai: Tirunelveli District Court on Monday granted bail to cartoonist G Balakrishnan, 36, alias Bala who was arrested on Sunday for his caricature on Tamil Nadu Chief Minister E Palanisamy, Nellai Collector and the Superintendent of Police. The Chennai-based cartoonist, Bala, was arrested on Sunday by the Tirunelveli police for a cartoon critiquing the Tamil Nadu government over the death of a family, who self-immolated at the Tirunelveli collector’s office on October 23 alleging inaction by authorities over their usury complaint. All four of the family, including two children, died in the incident. The cartoon in contention depicts the Nellai Collector, Chief Minister and the Superintendent of Police naked and covering their private parts with wads of cash while closing their eyes to a child burning in front of them. The cartoon was posted on his Facebook page, a day after the tragedy which shook the conscience of the state. Tirunelveli district Collector Sandeep Nanduri filed a complaint with the district crime branch towards the end of October. An FIR was registered on November 1 by the Tirunelveli Police who reached the city on Sunday to arrest Bala. Several plainclothes policemen barged into Bala’s house in Peripanchery near Kovur in Chennai and secured him even as his family members confronted and questioned their identity. Police also secured hard drives from his computer. Bala was booked under sections 501 (printing or engraving matter known to be defamatory) of the IPC and Section 67 (punishment for publishing or transmitting obscene material in electronic form) of the IT Act. The arrest of the cartoonist was condemned by civilians and politicians alike.